The slow boring version of Leonardo DiCaprio's Aviator. Made for old ladies and people who love Mad Men. Rated PG for some sensuality, language, thematic elements and smoking. 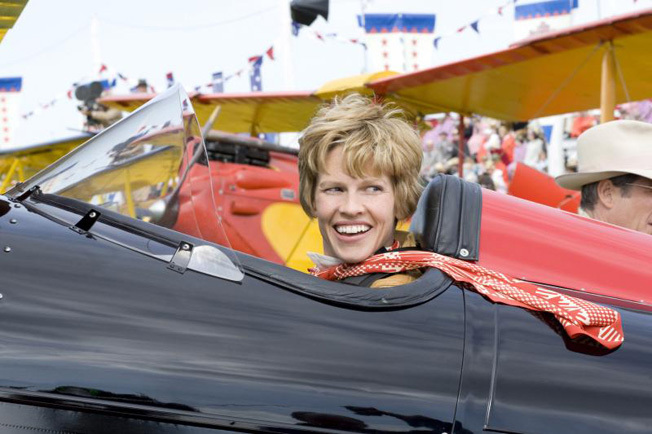 As my first official review for TheReelplace.com I was really excited to be one of the first to praise Hilary Swank’s performance and shout, “Best Actress!” But instead I left the screening wishing this project was like the real Amelia Earhart and never was found. This movie was so boring on every level I honestly have no idea where to start. So instead of a well thought out review this is going to be more of a mindless rant. Enjoy!